Buying a used car is a nerve-racking experience. For the most part, you never really know what you are going to get or where the car has been, even with all the right precautions. The common stigma surrounding the used car salesman casts an image of an overly-enthusiastic, slick-minded guy in a cheap business suit with a big, toothy smile. The only goal on this person’s mind is to earn a commission, even if it means overpromising, under-delivering, and hiding details of the fine print. While this may or may not be true to an extent, you need to be on your guard when buying a used car. Essentially, buying a car “as is” is a used car sales agreement in which the sale is final, and once you leave the dealership, the vehicle is 100% yours – along with anything that might be wrong with it. Low price – When a dealer sells a car “as is,” it’s very common that they are legally obligated to sell it under a certain price point. You have more leverage to negotiate. However, most of the time, the cons of buying a vehicle “as is” will significantly outweigh the pros. Perhaps the biggest characteristic of a car being sold “as is” is there is no manufacturer or dealership warranty in place. When it comes to a used car buying checklist, a warranty should be near the top. The warranty is what protects you from unpleasant surprises within a certain timeframe. For instance, if the engine is malfunctioning shortly after you purchase the vehicle, it should be covered under the warranty. Given that this problem is substantial, the vehicle could very well qualify as a lemon. In this case, the dealership or manufacturer is required to give you a full refund, as well as reimburse your incidental costs associated with the faulty vehicle. If you buy a car “as is,” you are not entitled to such benefits. It doesn’t matter if it’s a couple months after you buy the car, a few weeks, days, or even a couple minutes after driving off the lot; buying a car “as is” pretty much means you are out of luck in terms of defects. To reiterate, buying a vehicle “as is” means you are buying all the potential issues or malfunctions that come along with it. Moreover, you are essentially agreeing that you will cover any repair cost associated. When it comes to buying used cars, the one thing you should NEVER be is impulsive – especially when a vehicle is being sold “as is.” Even if you know a thing or two about cars and can identify funky sounds during the test drive, there is only so much you can learn about a car without diving under the hood. If you fall in love with a car and quickly buy it “as is,” you could very well end up paying more in repairs than what you originally paid for the vehicle. So, the best thing you can do in this situation is to ask if you can take the vehicle to a mechanic of your choice for a diagnostic. This test can run you anywhere from $100-$300 and is worth every single penny! The mechanic should give you a rundown of any current and potential issues with the car, as well as an estimate for how much it would cost to repair everything. From here, you can make a MUCH smarter judgment over whether or not to buy the car. Keep in mind, this inspection is not limited to cars being sold “as is.” It’s a smart idea to do this before buying any used car. If the dealership doesn’t let you do this, it’s probably in your best interest to steer clear. The “as is” label can be used to mask a wide range of issues. The commonality is that each is generally working to drive the price up and squeeze as many pennies from the buyer as possible. In bigger cities, these car dealership scams are quite common. As we deal with lemon law in Los Angeles (where there are more cars on the road than anywhere else in the country), this kind of foul play can occur frequently. Some of the common tactics dealerships will use is to factor in a bunch of add-on features to drive the price up, which can be as minuscule as tinted glass or spray-on fabric protector. Another technique might involve the salesman trying to sell a car that was previously used as a rental without informing the buyer – while masking it under the “as is” label. Dealerships can buy former rental cars at auctions for extremely cheap, only to sell them to unknowing buyers for a huge profit. In regards to the law of buying a used car from a dealer, they are required to disclose this. However, some will try all sorts of things to sidestep the law. 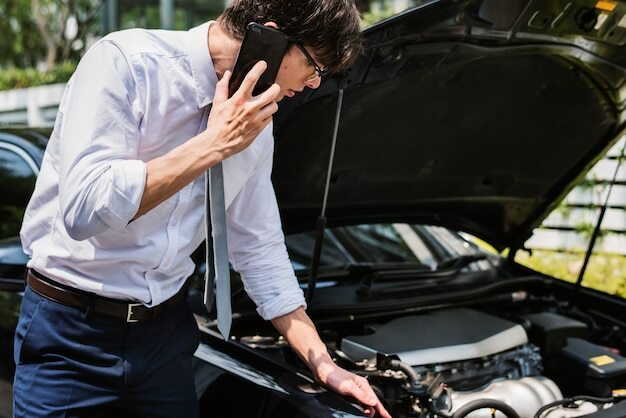 To avoid this technique, all you need to do is check the VIN number on CarFax to see its history – which you can do from your phone. Keep in mind, the only way a car can legally be sold “as is” is if it’s properly labeled on the vehicle as it’s being displayed. If it’s not clearly visible on the vehicle, or they try to get you to sign an “as is” agreement, don’t fall for it! Do yourself a favor and only buy a vehicle from a dealership that comes with a warranty.